Gluten Free Au Gratin Potatoes is the ultimate holiday side dish, but I’m sure you’ll agree, this impressive side dish is delicious any night of the week! 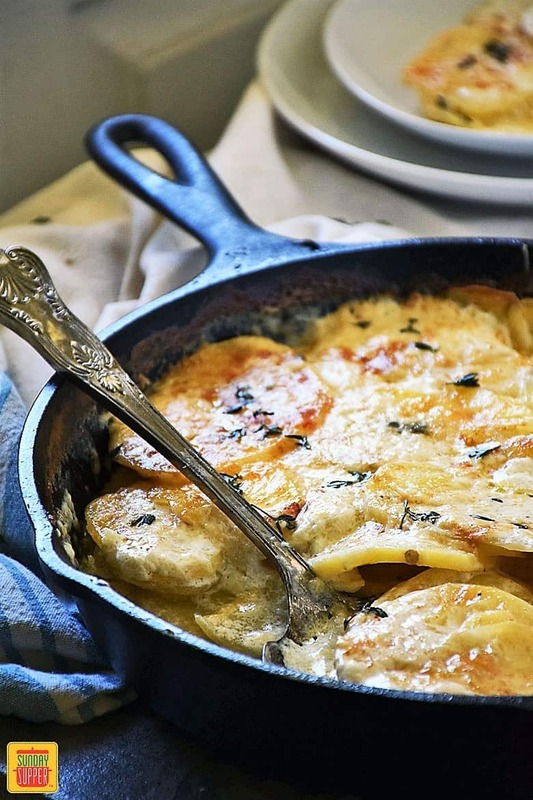 Our Gluten Free Au Gratin Potatoes is a classic side dish for the holidays. 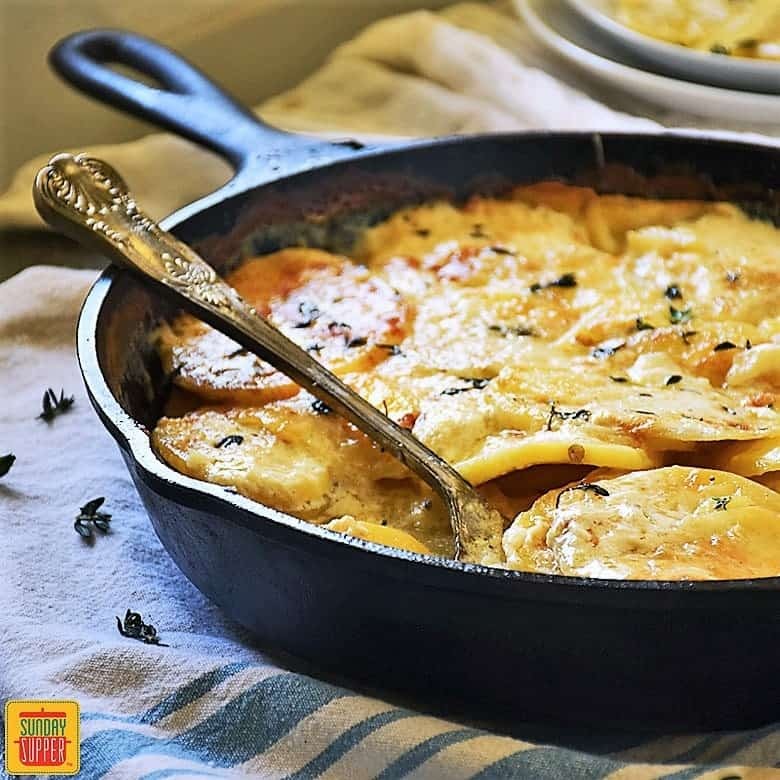 It is an easy recipe bursting with creamy, garlicky potatoes and topped with a cheesy crust that gives it a sort of fancified mac and cheese feel. All of your dinner guests will love this gluten free holiday recipe. The holidays are a time to indulge, but that can be a challenge if you are eating a restricted diet. Today the Sunday Supper Tastemakers are sharing our best Gluten Free Holiday Recipes. We hope to help you navigate all the holiday dinners while sticking to your gluten free lifestyle. Scroll down past the recipe for the complete list of Sunday Supper recipes. Many of the recipes, like our Gluten Free Au Gratin Potatoes, are naturally gluten free. 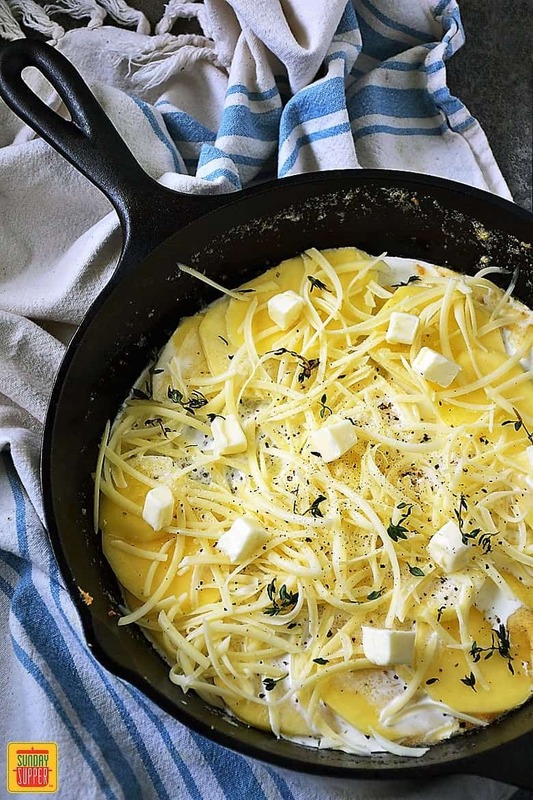 You definitely don’t have to be on a gluten free diet to enjoy this dreamy potato side dish, and your guests who are gluten free will appreciate you making the effort to accommodate them. This week is a very special week on Sunday Supper. Not only are we making your holidays easier by sharing our favorite gluten free holiday recipes, we are also honoring one of our very special members, and good friend, T.R. Crumbley, who passed away earlier this year after a short battle with an aggressive cancer. T.R. lived a gluten free lifestyle and was passionate about sharing his gluten free recipes with the world on his blog. He was a beautiful soul and that shined through in everything he did. Always happy & positive, T.R. never failed to be the first to reach out and lend a hand, answer questions, or talk about the latest episode of Game of Thrones. If you knew him, you were his friend. He embraced everyone. Our Sunday Supper chats will never be the same without his clever wit. 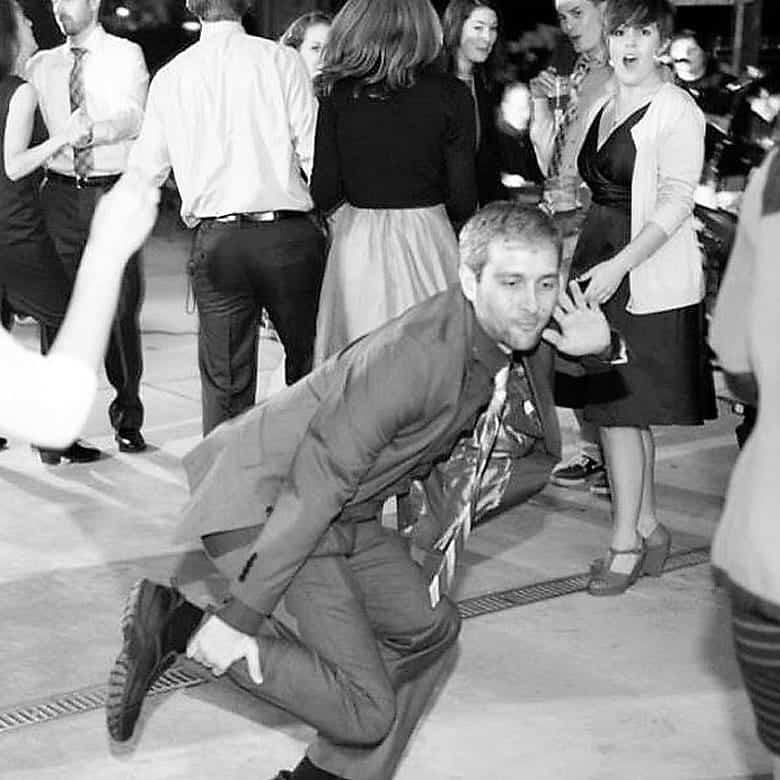 We miss him very much. I will remember T.R. fondly every time I serve these Gluten Free Au Gratin Potatoes and they will surely be on my Thanksgiving table every year in his honor. You can learn more about T.R. by reading our interview with him, watching his YouTube videos, and visiting his Instagram page. 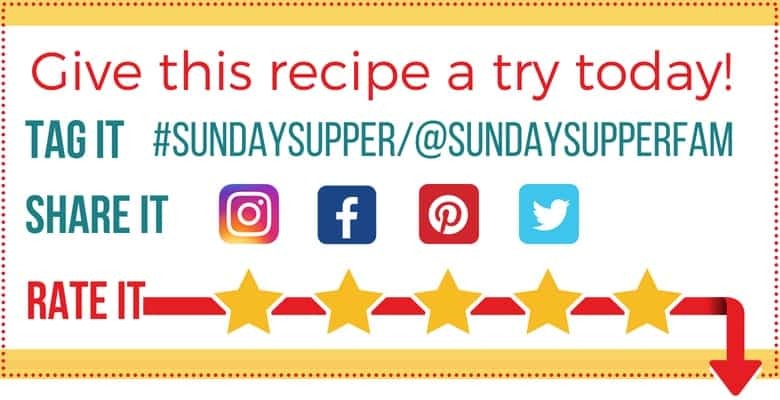 Although, T.R.’s recipe blog is no longer available, he was gracious to share several of his favorite recipes with Sunday Supper. Click here to browse his recipes available on Sunday Supper. This dish is inspired by Julia Child’s Gratin Dauphinois. A very fancy name I’m sure I would butcher if I tried to say it out loud, so I’ll just keep that to myself and stick with the name I recognize from my childhood – Au Gratin Potatoes. Gratin is a fancy culinary term that simply means the dish is topped with a browned crust. Sometimes it is a crust of breadcrumbs, but in this recipe it is a cheesy browned crust that contrasts perfectly with the creamy, almost fluffy, garlicky potatoes. Seriously, y’all, this dish is amazing! It tastes super fancy, but it is quite easy to make. You can even make it up ahead of time!! How perfect is that to take away the stress of a holiday meal?! 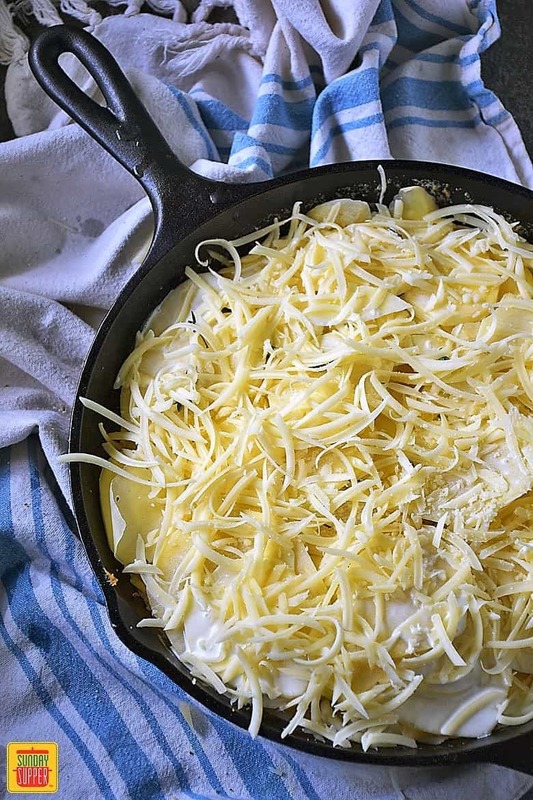 Gruyere cheese is our first choice for this recipe. You may, however, substitute your favorite Swiss cheese, Cheddar, or a combination of the two would be delicious! Use fresh garlic and thyme! This is super important to maximize flavor in this recipe. I LOVE garlic, so I might be a little heavy handed with it for some tastes. I use a full teaspoon of freshly minced garlic in the dish. Other recipes call for a more delicate hint of garlic. If you are sensitive to garlic, reduce to 1/2 teaspoon or rub the garlic on the inside of the baking dish. This is what our Sunday Supper member, Bobbi of Bobbi’s Kozy Kitchen recommends in her version of this recipe. This classic side dish is an easy recipe bursting with creamy garlicky potatoes on the inside and topped off with a cheesy crust that gives it a sort of fancified mac and cheese feel. All of your dinner guests will love this gluten free holiday recipe. Peel the potatoes and slice them thinly. A food processor with the slicing attachment makes quick work of the slicing. Place the potato slices in cold water for about 5 minutes. Give them a couple tosses about in the water to clean and then drain the water. 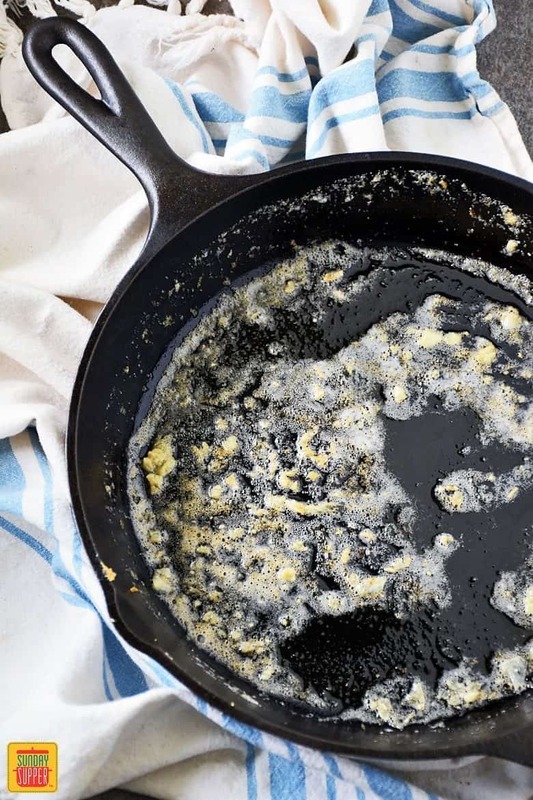 Melt 1 tablespoon of butter in a hot skillet. A 10 inch skillet with 2" sides works best. Spread 1/2 of the sliced potatoes in the bottom of the skillet. Top with 3/4 cup cream, 3/4 cup cheese, 1/2 teaspoon salt, 1/4 teaspoon pepper, 1/2 of the cubed butter, and 1 teaspoon thyme. The next layer add the remaining potatoes, cream, salt, pepper, butter, and thyme, finishing up with the remaining cheese on top. Cover with aluminum foil or the pan lid if you have one and bake for 1 hour. Remove the foil and use a fork to check the potatoes are tender. I like them fork tender but with still a little firmness to them. If you like them a little mushier you might need to bake them a bit longer. Once the potatoes are tender to your liking, remove the foil and continue to bake another 15-20 minutes or until the top has a beautiful golden crust. Allow the dish to rest for 10 minutes. Serve and enjoy! I LOVE that photo of TR!!! And these potatoes would be a hit on our Thanksgiving table. You had me at cheese and potatoes! Yum! Love the pic of TR! These look so amazing and I can’t wait to have an excuse to make these soon!